Laid down, 14 November 1944, at Consolidated Shipbuilding Corp., Morris Heights, N.Y. Reactivated in June 1949 and placed in service in the 5th Naval District at Norfolk, VA.
107k Nahasho (YTM-535) and Paducah (YTB-758) approach an aircraft carrier at Norfolk Naval Shipyard, Portsmouth, VA., date unknown. 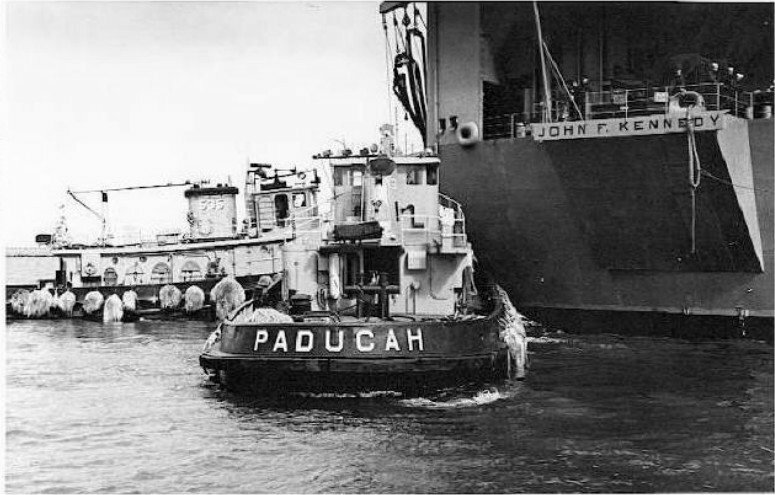 86k Nahasho (YTM-535) and Paducah (YTB-758) assisting the aircraft carrier USS John F. Kennedy (CVA-67) into or out of her berth at either Norfolk Naval Station of Norfolk Naval Shipyard, date unknown. 274k Nahasho (YTM-535) preparing to assist the aircraft carrier USS John F. Kennedy (CVA-67) into her berth at NOB Norfolk, date unknown. 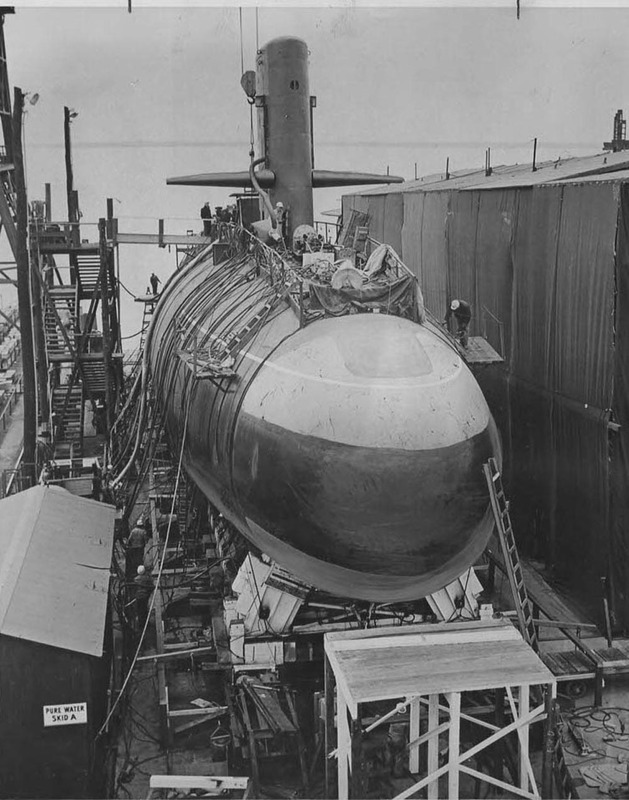 136k USS Diamond Head (AE-19) under way at NOB Norfolk, VA., circa 1963. 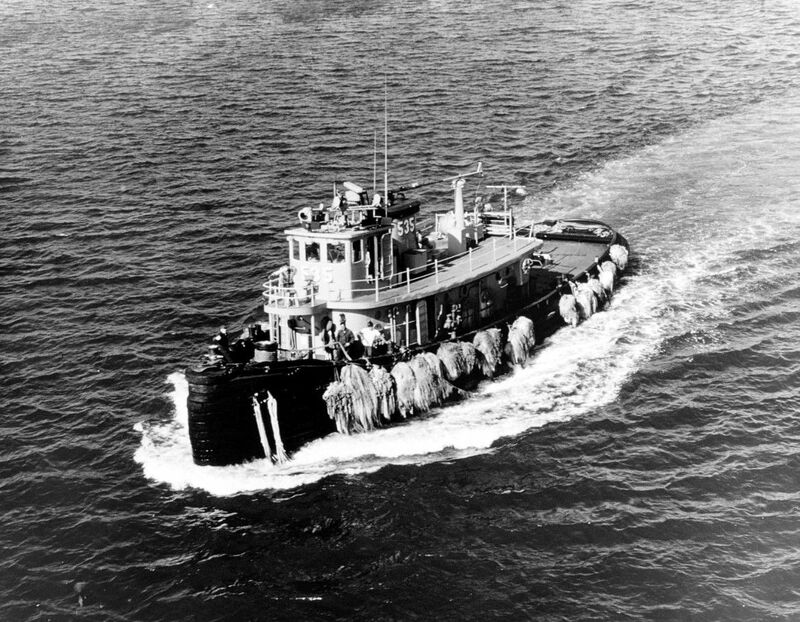 She is being assisted by the tug Nahasho (YTM-535). 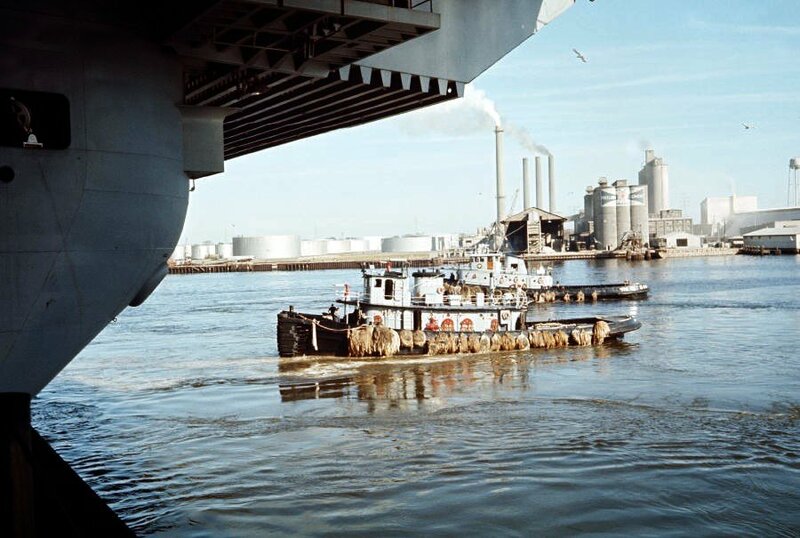 960k Nahasho (YTM-535) and Menominee (YTB-790), assist USS Shark (SSN-591) into her berth at the D&S Piers, Naval Station Norfolk, VA., 16 July 1969. US Navy photo # K-66087, courtesy of Scott Koen & ussnewyork.com.